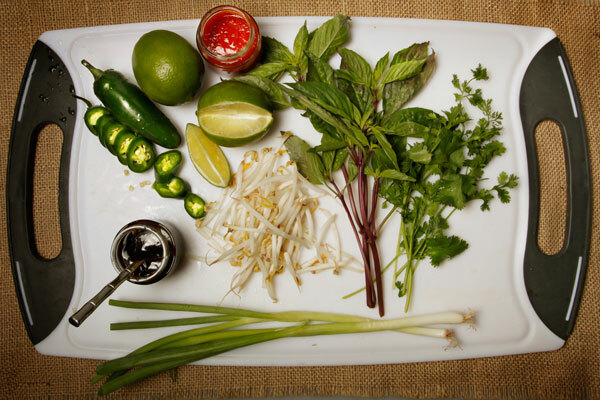 Are you ready to make Authentic Pho Ga (chicken) at home with PhoKit? Here's what you need. Your PhoKit will come with the shopping list and directions. We're going to give you a few more tips and tricks here, plus some alternatives. 1 PhoKit, which serves 6 very large bowls. In your large stockpot, add your water, and your PhoKit spice sachet on high heat. Once boiling, add your chicken, return to boil, then turn down to a low simmer. This step is not necessary, but to really impress your friends or family, you can roast the onion and ginger before adding it to your stock pot. I do mine over the open flame on my gas range, but this can also be done on an outdoor grill. Leave the onion and ginger with their skins on, roast until they are just charred, then rinse and clean. Roasted or not, cut a large X into the top of the onion, slice the ginger in half, then drop both into your stockpot. While simmering, use a fat skimmer to remove the fat and foam from the broth as it cooks. This ensures that authentic clear broth. Fat skimmers can be purchased at your local kitchen store. So, it's been about an hour, and it's time to feed. Get your water boiling for those noodles, toss them in, and cook for about 5 minutes. Drain, and immediately rinse under cold running water to stop the cooking process. 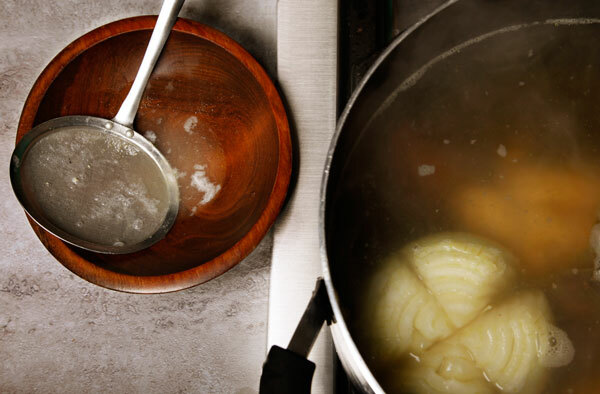 Rice noodles get really sticky when over cooked, but once you pour your broth over them, they aren't so sticky. Helpful hint - if you aren't feeding 6, and want to preserve some noodles for later, separate them out right after draining and rinsing with cool water. They are easier to pull apart earlier than later. Better yet, you can also half them before boiling, and keep the extra dry noodles in a seal-able sandwich bag until you're ready to break out your frozen broth. Yes, you can freeze your broth for another meal if it's not going to be eaten within a few days. Almost time to eat! Remove and let your chicken cool for about 10 minutes. Also, remove and toss your spice sachet. While chicken is cooling, you can prepare your favorite toppings. 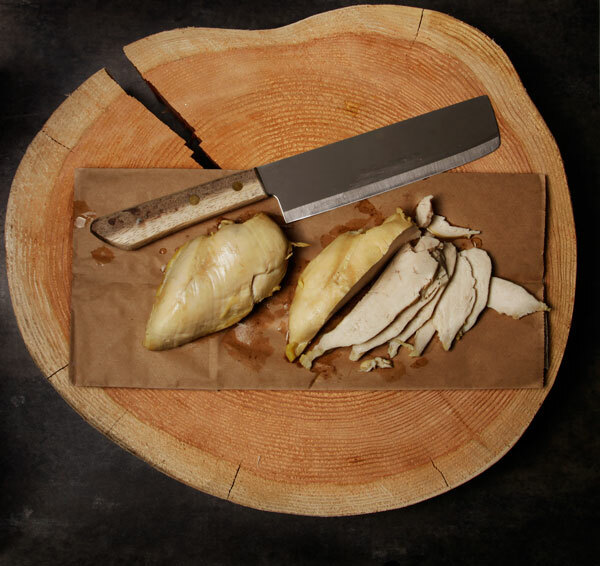 Once chicken is cool to the touch, slice it. Add noodles, sliced chicken, and broth to each serving bowl. 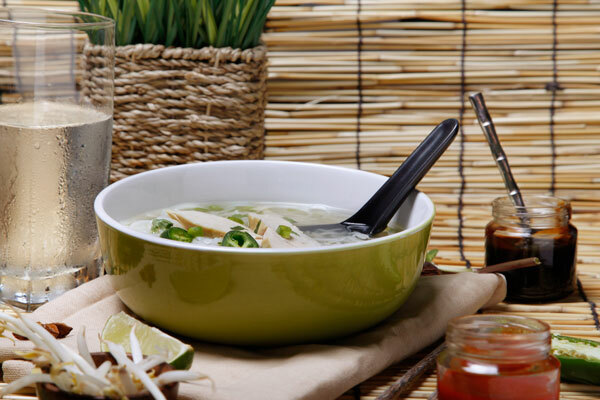 Enjoy your delicious homemade Pho!! !